Heather is our Talent Acquisition Specialist. She is responsible for advisor recruiting, sourcing the right talent to our organization while working closely with the Sales Leadership team in each office. 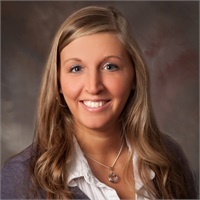 Heather began her career in the financial services industry with Mutual of Omaha in 2008, after graduating from UB with a degree in Business Administration & Accounting. She started as an advisor and spent some time in a mentorship role before becoming the firm’s Senior Advisor Recruiter. Heather spent nearly 10 years at Mutual, and was responsible for recruiting, onboarding, and training new advisors. She joined our firm in July of 2018. She has her Life, Accident & Health license, Series 6, 63, 65, and her CMFC designation. Heather was born and raised in a small town (Brocton) near Fredonia, NY and currently resides in North Buffalo with her fiancé Eric and their two dogs, Kahlua and Chance. She enjoys spending time with her family and friends (and her dogs), traveling, camping, going to concerts, festivals, and being crafty.